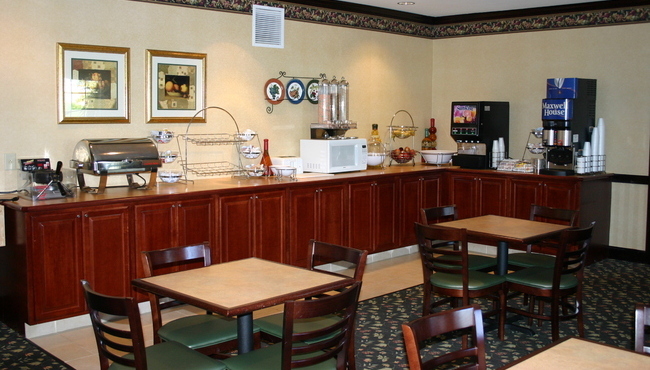 Follow the aroma of fresh-brewed coffee to our complimentary breakfast, served daily at the Country Inn & Suites, Youngstown. Choose from hearty breakfast items like waffles, sausage, bacon and eggs, or go light with fresh fruit and cereal. We demonstrate our commitment to the environment by using classic diningware instead of wasteful paper products. Looking for a great restaurant for lunch or dinner? You can find mouthwatering meals at nearby restaurants that include Quaker Steak & Lube and Phoenix Fire Grill and Bar.